It’s parade time again!!! You are cordially invited to join us for the 18th annual Lights of Christmas Parade on Saturday, December 1st at 6:00 p.m. 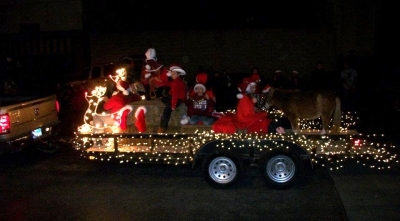 The Lights of Christmas Parade is a part of Concho Christmas Celebration that has grown every year. We want this year’s event to outshine all our past parades. It’s an event children and adults alike remember and talk about long after the holidays. The theme must be appropriate to the season. Each entry must be lighted. The only exception will be for vehicles pulling decorated/ lighted floats. Entries consisting of multiple vehicles (car clubs, motorcycle clubs, or other groups) must ensure each one is lighted in a festive manner. Headlights do not count. Please, no excessive noise. Loud motorcycles and vehicles are fun at other venues, but the noise does frighten small children and we want the parade to be a happy memory for them. The event will be televised LIVE again this year by KIDY- FOX TV, and will also be broadcast live on KCSA-FM 97.1 Radio. 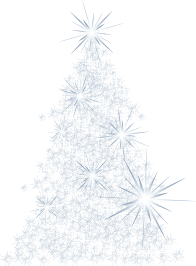 KIDY will also rebroadcast the Lights of Christmas Parade later in the evening, immediately following the Big 10 football championship game. Entry deadline is Monday, November 26, 2018. Please be sure to give us as much information as possible on your entry form so the script for our broadcasters will be complete. Let’s make this year’s Lights of Christmas Parade the biggest and most beautiful one to remember. Looking forward to seeing you at the parade. Copyright © 2014 | Concho Christmas Celebration | All Rights Reserved.